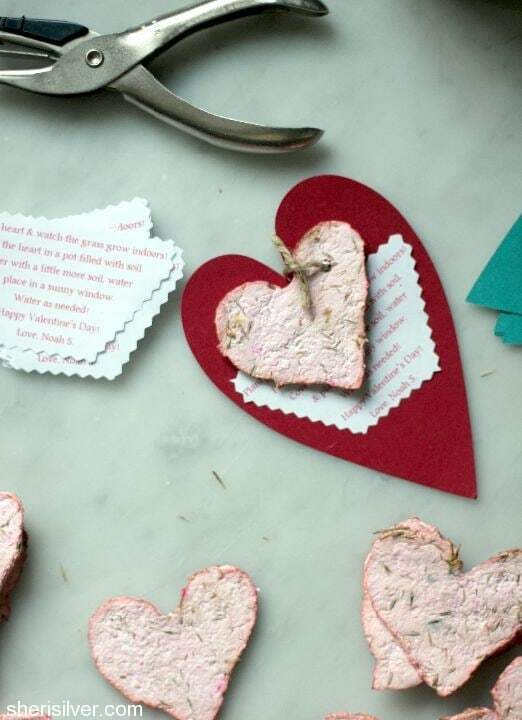 Favor-“ette” will be later this week as I am smitten with this Valentine’s craft and wanted to share it with you right away! 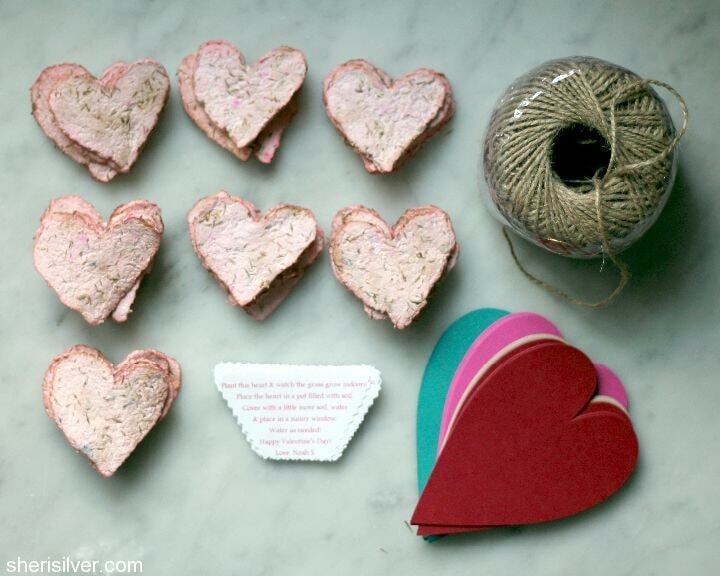 These seed paper hearts could not be easier to make, and they are a great non-candy alternative for your child’s class. * 8-10 sheets of paper, white or colored – I used a mix of 9 sheets of white paper and 1 red, but if you only have white paper you can add a drop of food coloring to achieve your desired shade. * Seeds – any kind you like! I used grass seed because you can grow it indoors and I had quite a bit left over from this project. 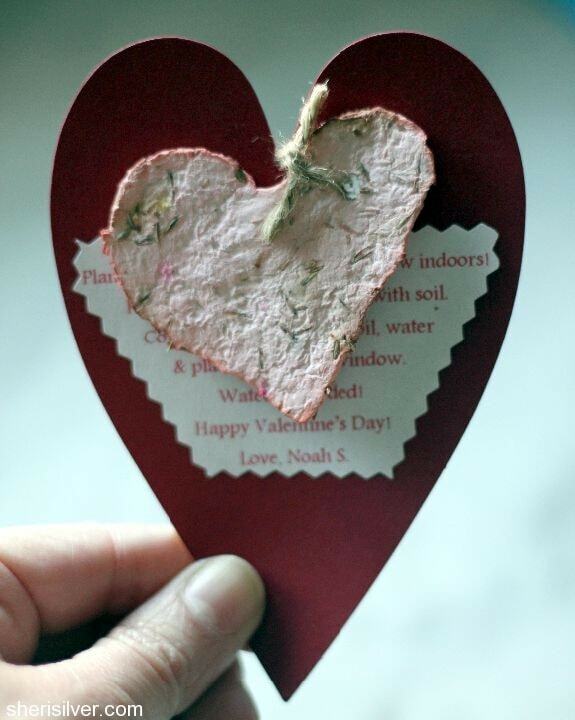 * Dried flower petals (optional): I had some dried lavender and tossed that in. Cut your screen to fit the cooling rack. Set the screen over the rack and place over your baking sheet (** if you don’t want to use a screen you can set a few towels on a baking sheet instead). 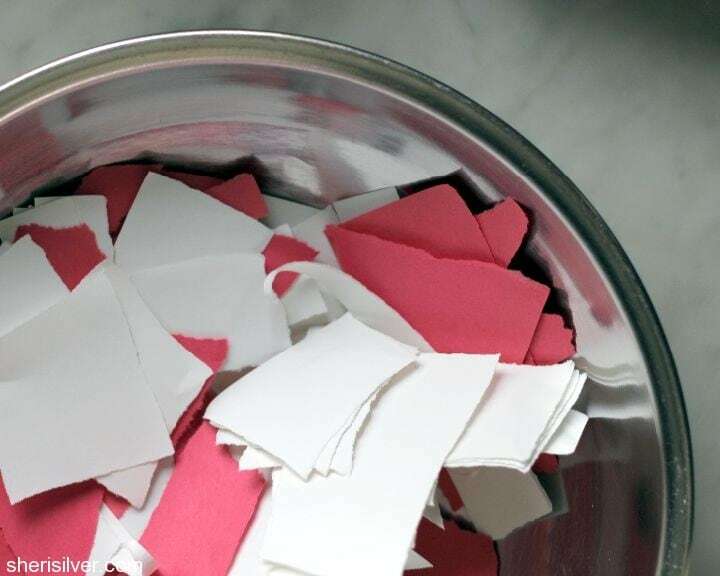 Tear up the paper into small pieces – soak in a large bowl of warm water for 45 minutes to an hour. Scoop the paper out and transfer to your food processor or blender (I found the processor to be much easier to work with). Pour about a cup of the soaking liquid in and puree till well blended. The mixture will be quite liquid-y and there should be no large pieces of paper visible. Pour the mixture into a sieve and press out most of the water. You should be able to form a clump with your hands but there should be some moisture remaining or the paper will not dry properly. 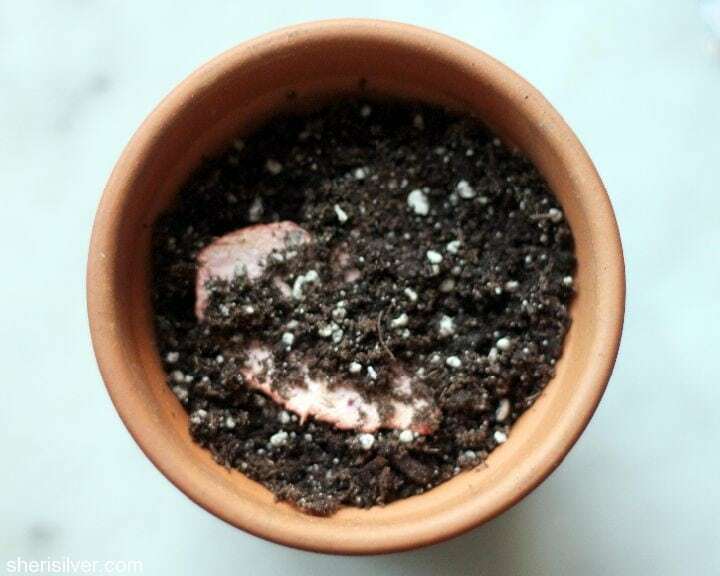 Transfer to your (now cleaned) bowl and add your seeds – mix with your hands to distribute. Place your cutter atop the screen/rack (or towels). Put a small clump of the paper mixture inside the cutter and press evenly to fill. Gently remove the cutter and repeat, using up all of the paper mixture. You can use a rolling pin to smooth the shapes if you like (don’t press too hard or you will risk crushing the seeds). Place the baking sheet in a warm (preferably sunny) spot to dry. Plant this heart & watch the grass grow indoors! & place in a sunny window. 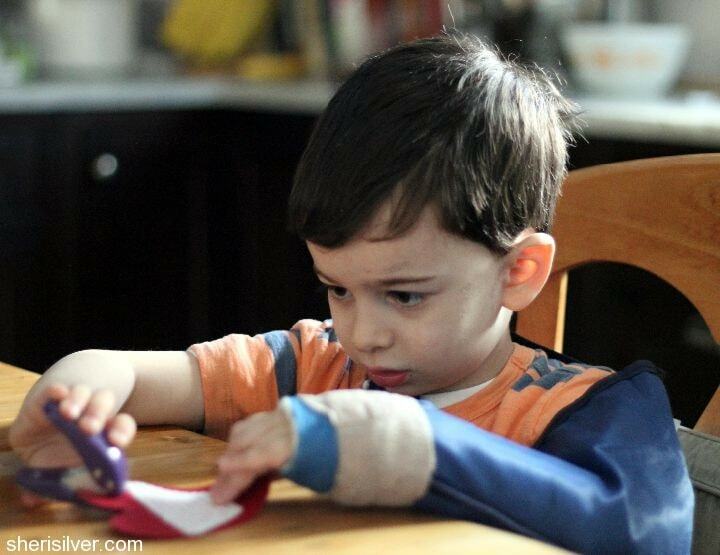 This is a perfect craft for even the smallest hands to help with…. …even if your helper only has one hand. 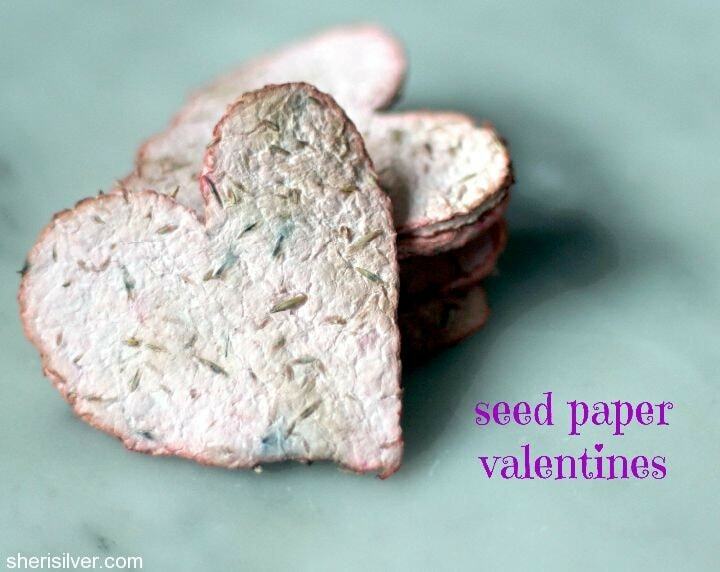 Love these seed paper hearts. 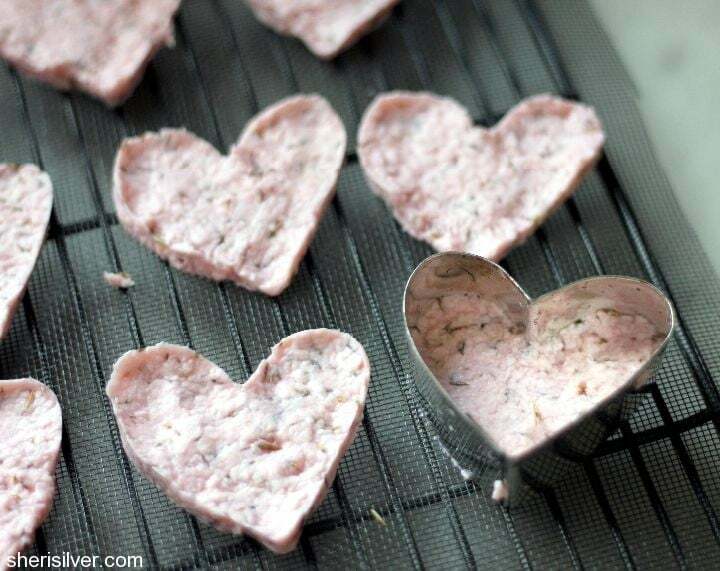 Thanks for sharing and Happy Valentine’s Day!! This is such a cute idea. Half way through reading I realized, you could plant them! Neato.